Happy Sunday everybody. 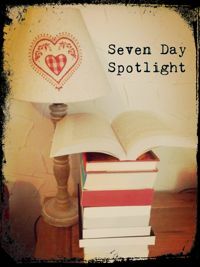 Here’s a round up of the week on my blog. I posted a review of the excellent crime book, Dead to Me by Stephen Edger. Next up was my review of Another Woman’s Husband by Gill Paul which is a fascinating blend of fact and fiction. I then posted a guest post by Daisymae_224 about internet dating and later in the week I posted a review of her book, Dating Daisy. I reviewed Tammy Cohen’s brilliant psychological thriller, They All Fall Down. I shared an extract from Condition: The Final Correction by Alex Birri, the third in a dystopian trilogy. 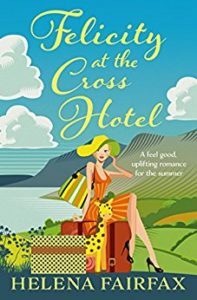 And finally, I posted a review of the wonderfully feel-good The Big Dreams Beach Hotel by Lilly Gorman. 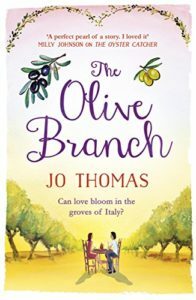 The Olive Branch by Jo Thomas – this one is still free. 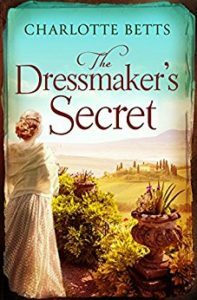 First, though, she must win over her fiery neighbour, Marco Bellanouvo, and his family… Then there’s the small matter of running an olive farm. As the seasons change and new roots are put down, olives and romance might just flourish in the warmth of the Mediterranean sun. With no qualifications and escaping her past Annie Rogers takes the job as housekeeper to widowed Arthur, the charming current Earl of Cranley. After a bad fall puts Arthur in hospital, it’s up to his reluctant heir, Sam Harris, to lend a helping hand and try to find a sustainable future for the Estate. Could you share your child with someone else? After years of struggling to conceive, Zoe and her husband face the prospect of never having a family. When Zoe’s stepsister, Nadia, offers to be a surrogate it presents the perfect solution. A healthy girl, Louise, is born. But no one imagined just how hard it would be to know someone else was also mother to your child. As the pressure on Zoe and Nadia mounts, they make choices that there is no going back from. Years later, Louise is in desperate need of her family’s help. Can they put their painful history aside to save the child they love so much? Suddenly-widowed Maisie sets out to clear her late husband’s collection; wonky furniture and balding rugs, bolts of material for upholstery projects he never got round to, gloomy pictures and outmoded electronics, other people’s trash brought home from car boot sales and rescued from the tip. The hoard is endless, stacked into every room in the house, teetering in piles along the landing and forming a scree up the stairs. It is all part of Clifford’s waste-not way of thinking in which everything, no matter how broken or obscure, can be re-cycled or re-purposed into something useful or, if kept long enough, will one day be valuable. He had believed in his vision as ardently as any mystic in his holy revelation but now, without the clear projection of his vision to light it up for her as what it would be, it appears to Maisie more grimly than ever as what it is: junk. 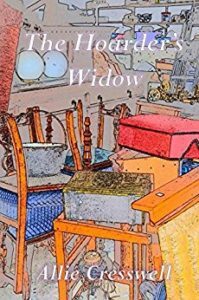 As Maisie disassembles his stash she is forced to confront the issues which drove her husband to squirrel away other people’s rubbish; after all, she knows virtually nothing about his life before they met. Finally, in the last bastion of his accumulation, she discovers the key to his hoarding and understands – much too late – the man she married. Then, with empty rooms in a house which is too big for her, she must ask herself: what next? Matt Hunter lost his faith a long time ago. 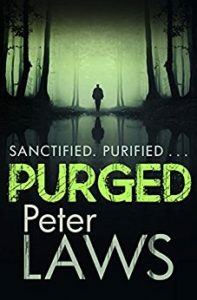 Formerly a minister, now a professor of sociology, he’s writing a book that debunks the Christian faith while assisting the police with religiously motivated crimes. On holiday with his family in Oxfordshire, Matt is on edge in a seemingly idyllic village where wooden crosses hang at every turn. The stay becomes more sinister still when a local girl goes missing, followed by further disappearances. Caught up in an investigation that brings memories to the surface that he would prefer to keep buried deep, Matt is on the trail of a killer determined to save us all. 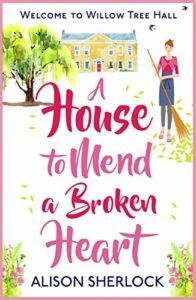 Emma is elated at having everybody under one roof, but her oldest child, Olivia, is only home because she has nowhere else to go. She’s just returned from treating an epidemic abroad and must stay in quarantine for a week – and so, too should her family. For the next seven days, no one can leave the house and no one can enter. It doesn’t sound too hard. But a week with your nearest and dearest can feel like an eternity, especially when they’re all harbouring secrets. 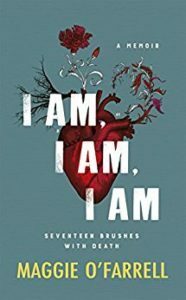 One of the most anticipated books of 2017, I AM, I AM, I AM is a memoir with a difference – a story of a woman’s life in near-death experiences. It is a memoir you will finish newly conscious of your own vulnerability, determined to make every heartbeat count. Newlyweds Brett and Emily Larson have just moved into a new home deep in the countryside, and are overjoyed when Emily finds out she’s pregnant. 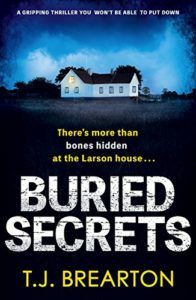 When the police put three photographs of known criminals on the Larsons’ kitchen table, the couple realize the danger may be closer to home than they think. As the situation escalates, can Brett and Emily keep one step ahead to protect themselves – and their unborn child? Life has taken a rather positive turn for Grace. She is now working her socks off in a job she enjoys. She has also quite possibly met the man of her dreams. 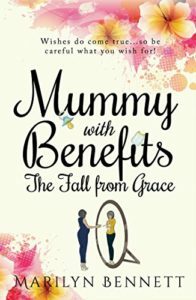 Motherhood takes Grace on a new life-changing adventure, one that ensures she grows up, but also presents an opportunity for her to try and create a longed for family, which is almost within her reach. In her first full-length novel, author Claire Baldry sensitively explores the growing closeness between the newly retired couple as they develop their mutual understanding and physical relationship. 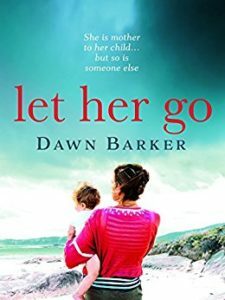 The reader is reminded of the changing values of the postwar years, while Simon and Louise visit places from Louise’s past and meet people who knew her mother and grandmother. 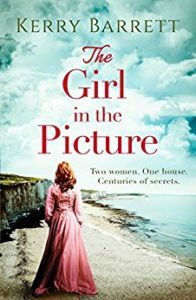 Together, they begin to unlock the forgotten secrets of Louise’s past – but in the face of so much change and uncertainty, can Louise let her relationship flourish? 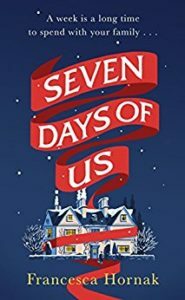 The story is set mainly in the author’s home county of East Sussex, but finishes in Kent, when Louise and Simon finally visit her birth mother’s grave at a convent in Chatham. 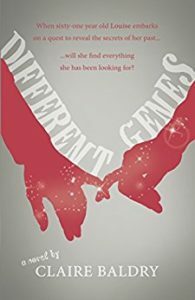 This immensely readable journey of discovery is a charming and bittersweet mixture of romance, sadness and genuine suspense. And that’s it. Have you read any of them already or like the sound of any of these books? I’d love to hear from you. Wishing you all a very happy Bank Holiday Monday. I have literally just had to add about 4 of these to my TBR wish list!! Excellent round up of some fab sounding books!!!! Thanks for sharing! Thank you so much, Katherine. It’s been a good week for books but not good for my TBR pile. So many books that sound brilliant – I wish I could read quicker. 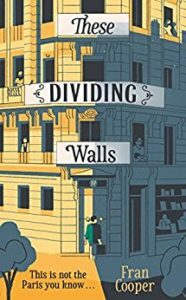 I loved These Dividing Walls, I hope you enjoy it. Thanks, Cathy. I nearly bought it when it came out and didn’t but I’m going to be seeing the author speak about it soon so thought it was time to get it. 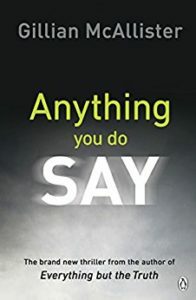 I got a copy of Anything You Do Say too – I loved Everything But The Truth so I’m really looking forward to reading this one. Thank you, Janel 🙂 Anything You Do Say sounds awesome. Unfortunately so does Everything But the Truth which I have had since it came out and still not read – aargh! Oops, sorry about that, Jill. I seem to have had that effect with this week’s selection. 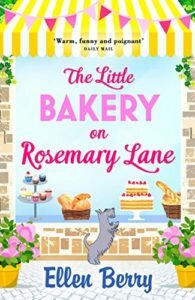 One word, Vicki – Netgalley! Wow what a wonderfully busy week you’ve had! Fab new additions to your TBR pile, most of them have now been added to mine too! Thank you, Lisa. Sorry to have added to your TBR pile. My choices this week seem to be very appealing!